With the Swedish authorities resolute to continue deportations of rejected asylum seekers as planned despite the surge of sectarian violence in the Middle East, a new trend emerged among compassionate Swedish social media users. Refugee campaigners and sympathizers offer themselves for deportation in lieu of refugees. Swedish Twitter users volunteer to be expelled so that one of the asylum seekers can take their place in Sweden. The social media campaign, which runs under the hashtag #skickamigistället ("Send me instead") is a public response to Sweden's determination to continue the expulsion of rejected asylum seekers to Afghanistan despite the recent wave of terrorist attacks. By taking snapshots of themselves wielding hashtagged papers, enthusiastic Swedes offer themselves to replace people who were denied asylum in Sweden as a protest against the "unfair" and "inhumane" expulsions. — Kvalitetssäkrad! (@M____i____T) 30 мая 2017 г. ​​"Let my children live and send me instead," Liberal municipal politician Tina Höstlycke, who is a member of the city council in the town of Mölndal, tweeted. — Tina Höstlycke (@Tina_Molndal) 29 мая 2017 г. ​Another user, who also requested to be expelled, wrote that it was "totally absurd" to expel young people to a country that is deemed "too dangerous" for Swedish citizens. — Karin Hallén Sehlin (@KarinSehlin) 29 мая 2017 г. ​However, the campaigners' enthusiasm was met with criticism and sarcasm, with some users offering the volunteers a ride to Stockholm Arlanda Airport. Following a deadly blast in central Kabul, which claimed almost 100 lives, Germany said it had postponed a scheduled deportation flight of rejected Afghan asylum seekers. The bombing killed one Afghan guard at the German embassy and wounded two embassy staff. The bomb attack stirred a fiery debate in Sweden, where campaigners gathered outside a Migration Board office in southern Sweden to protest the deportation of around two dozen Afghans with a chartered flight. While Sweden avoids deporting people to war-ravaged Syria, each decision on expulsion to Afghanistan is taken on an individual basis. In December 2016, the Migration Board reported that the security situation in the country had deteriorated, yet insisted that at least some of the provinces were safe. 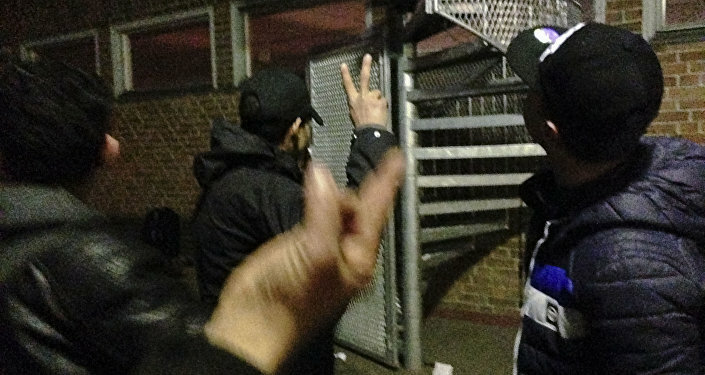 Swedish refugee rights campaigners (such as the Swedish Network of Refugee Support Groups, FARR, or Vi står inte ut) have repeatedly called on authorities to suspend all deportations to Afghanistan and all deportations of minors who came to Sweden without parents or guardians. Last year alone, the Migration Board processed 12,168 Afghan asylum applications, 4,152 of which were rejected in the first instance. In 2015, around 23,000 unaccompanied minors from Afghanistan applied for asylum in Sweden.